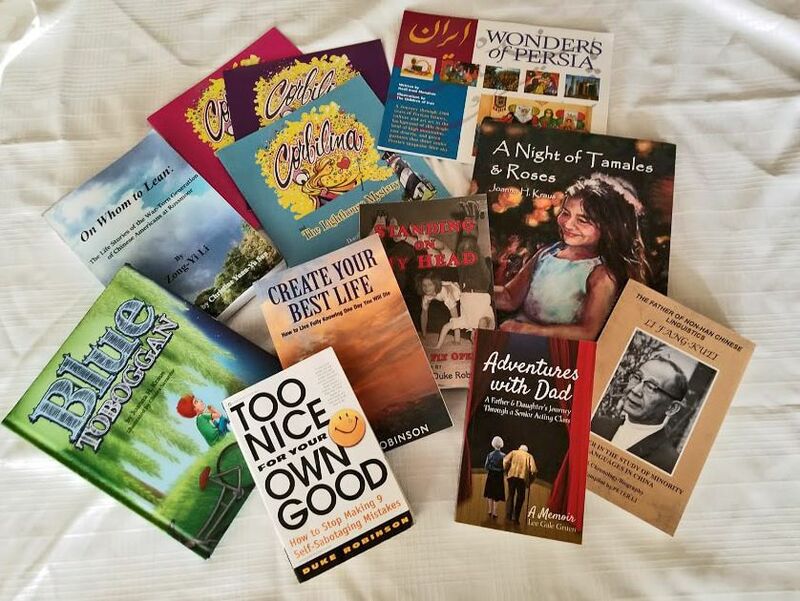 Books published by PWR members. Rossmoor residents and visitors who are looking for just the right gift for a neighbor, relative, or friend at the Fall Bazaar might go with a suggestion from the Published Writers of Rossmoor (PWR). Consider buying an author-signed book with a personalized dedication to the buyer or the recipient of the gift. A variety of interesting, timely, and reasonably priced books, each the creative product of a PWR club member, will be on display at Rossmoor’s 2017 Fall Bazaar on Saturday, November 4, 2016, from 9 a.m. to 2 p.m. in the Oak Room of Rossmoor’s Gateway Clubhouse. Published Writers club member/authors will be at tables to display, discuss, and offer their books for sale. Feel free to browse and ask the authors about their work and their writing careers. Their subjects cover the literary spectrum from humor to children and family relationships to travel, history and much more, both as fiction and nonfiction. ​Click on the hyperlink to view the 2017 Fall Holiday Bazaar flyer. For more information, contact the 2017 Fall Bazaar Coordinator, Lee Gale Gruen at gowergulch@yahoo.com.